Every organizer looks out for a reliable partner to streamline the event. Count on us for assured satisfaction. Irrespective of the nature of marquees, we assist the client with the required support and accessories.The prospect of frightful weather need not threaten your vision for the perfect event. Whatever the scale, we’re committed to supplying you with everything you need to host a day that’s immune to the elements in a setting that’s comfortable and safe for your guests. Not only do we specialise in marquees, but are also more than capable of distributing gazebos across Scotland to ensure that your event is scaled perfectly for the type of function that you’re planning on hosting. 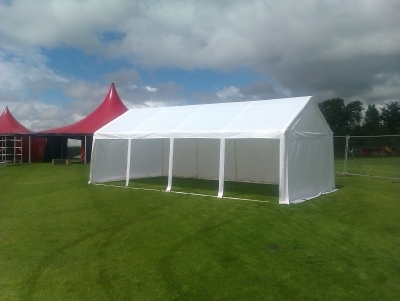 Mcghee’s Marquees implores you to talk to our expert staff and discuss the type of event they’re aiming to host because we have so much choice in additional accessories and utilities that can guarantee your function is a roaring success.